Chinese electronics and home appliances retailer Gome achieved operating revenue of CNY76.695 billion, a year-on-year increase of 18.73%, during 2016. But its profit was CNY325 million, a year-on-year decrease of 73% from CNY1.208 billion in 2015. 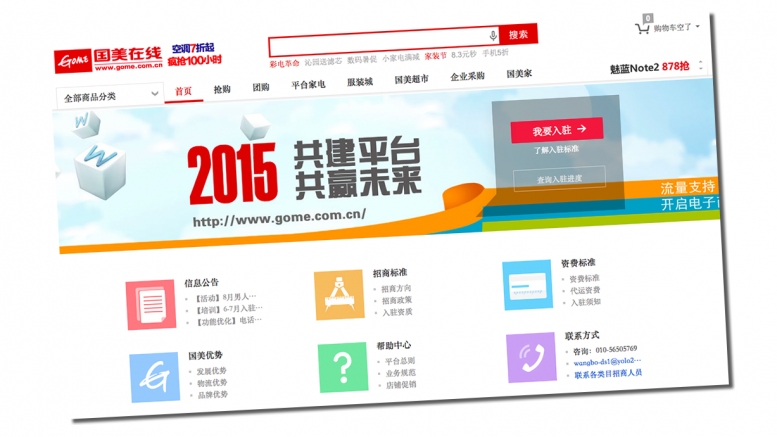 During the reporting period, Gome's online and offline trade saw an increase of 31.05%. Meanwhile, its online gross merchandise volume increased by 110.09% and the online sales of its owned part were CNY10.697 billion, a year-on-year increase of 58.75%. By the end of the reporting period, Gome had 1,628 offline physical stores, including 891 in first-tier markets and 737 in second-tier markets. In addition, Gome issued CNY9 billion corporate bonds in 2016 and the company had ample book capital. It had CNY13.24 billion cash and cash equivalents by the end of the reporting period. Be the first to comment on "Gome Operating Revenue Up 18.73%, Profit Down 73%"